Many years ago I lived for a summer on 13th Street in Greenwich Village, next door to St. Vincent’s Hospital and upstairs from what was then one of only two Mexican restaurants in Manhattan. I loved walking around the neighborhood, which included the grungy, smelly meat-packing district a couple of blocks west of my apartment. Back then, the neighborhood was still a working, commercial/warehouse district. Since then, all that has changed as the Meat-Packing District became synonymous with late-night bars and clubs. The conversion of the High-Line from abandoned, warehouse-serving, elevated rail spur into one of the most famous urban parks in the world coincided with the mass redevelopment of the adjacent Chelsea neighborhood into Manhattan’s art gallery district. The changes have been substantial and remarkable. 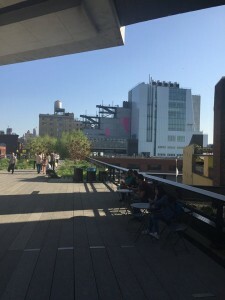 On May 1, the Whitney Museum opened the doors of their brand new, Renzo Piano designed museum on Ganesvoort Street, a couple of blocks from my old apartment, at the southern terminus of the High Line. 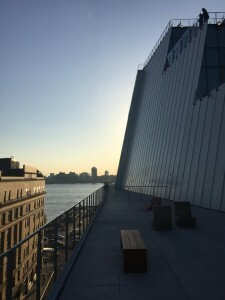 The new building has about double the exhibition space of the old building, which is put to good use in the inaugural exhibition, entitled America is Hard to Find. The exhibit offers an opportunity to show off the museum’s collection of 19th -21st century American Art. The thought-provoking exhibition includes many previously overlooked woman artists, ethnic artists and artists of color and stands as a reminder that art is for everyone. The building itself has been the subject of many reviews, and its reception has been mixed. Personally, I have long admired Piano’s approach to design. His buildings, such as the Menil, draw on their context (in the broadest possible manner) for design inspiration, meanwhile takes a very logical and ego-free approach to such considerations as structure, mechanical systems, lighting and circulation. 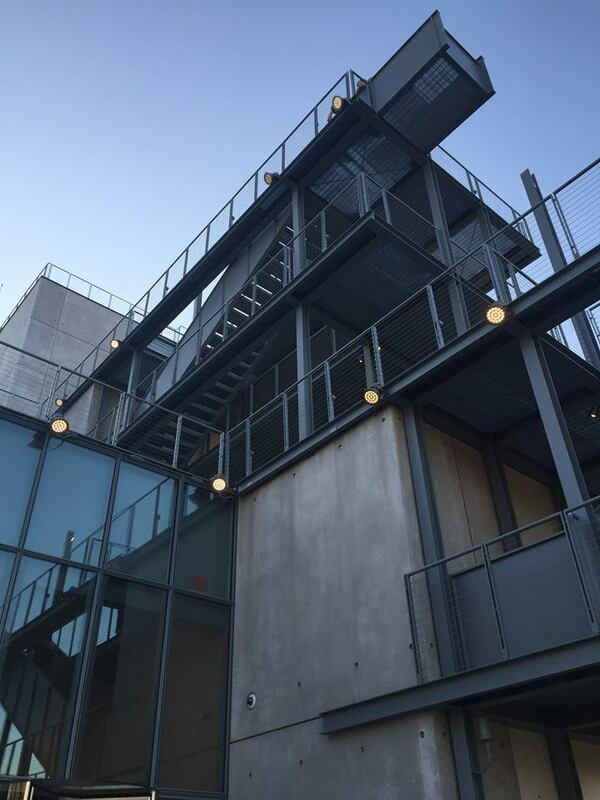 The Whitney is no different. The large, open gallery spaces are reminiscent of downtown loft spaces, with windows on either end. On the outside, the building’s form evokes the ocean liners that once docked across the street (did I mention that the building overlooks the Hudson River? 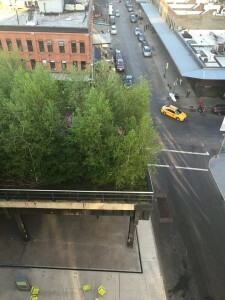 ), as well as the varied and jumbled industrial forms and roofscapes of the neighborhood. The building’s most popular feature is probably the series of exterior stairs and sculpture terraces that overlook the High Line and renovated warehouses of Gansevoort Street below. All in all, this represents an important piece of city-building. Of course, not everyone is thrilled. My filmmaker friend, Adam has lived for 25 years on Hudson Street, a few blocks south of the museum. Adam has seen his formerly sleepy little corner of Manhattan become very busy during the intervening period, and is not thrilled with the commercialism of the area today. On the other hand, his apartment is now worth a small fortune. That’s life.